Glorious, newer custom home that will immediately delight you with its openness & light. 7,438 sq. feet of living space. 19’ ceilings in the foyer & 12’ ceilings in the living room & dining room. 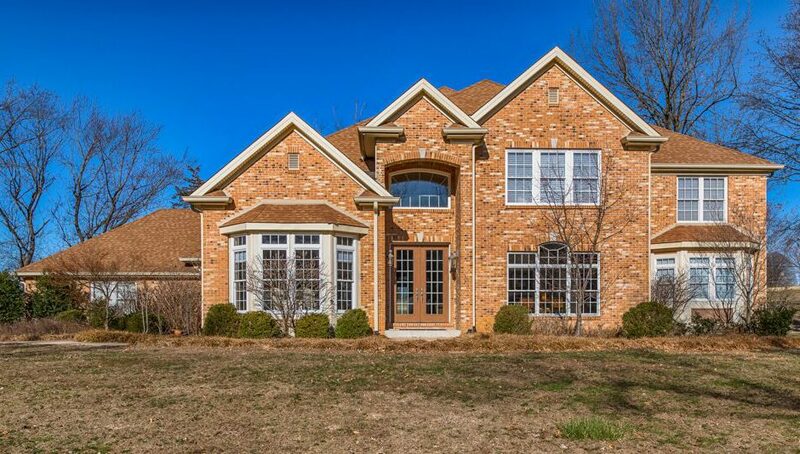 This fine home is on .65 acres that backs to Creve Coeur golf course. Main floor master bedroom with doors that lead to the covered veranda. 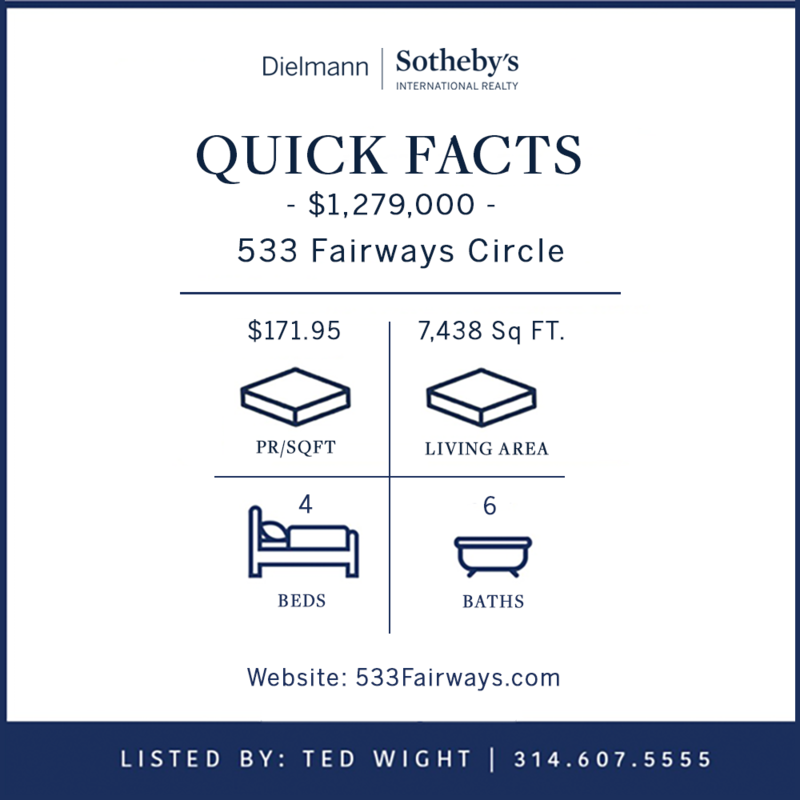 Luxury master bath with heated floors, dual vanities, jacuzzi tub & separate shower. The kitchen is a chef’s dream with granite counters, center island, butler’s pantry with wine cooler, Fisher Paykel appliances, 2 refrigerators & freezers, 3 ovens, 6-burner gas stove with skillet & warming drawer. Hearth room off of kitchen with surround sound for home theater effect. Main floor laundry with marble countertop, sink & lockers. Job-finished oak hardwood floors throughout the main & 2nd levels. 3 fireplaces. 2nd level has 3 bedrooms & 2 full baths. Lower level with gym, full bath, recreation room, tons of storage and additional bedroom/office. 3-car garage.